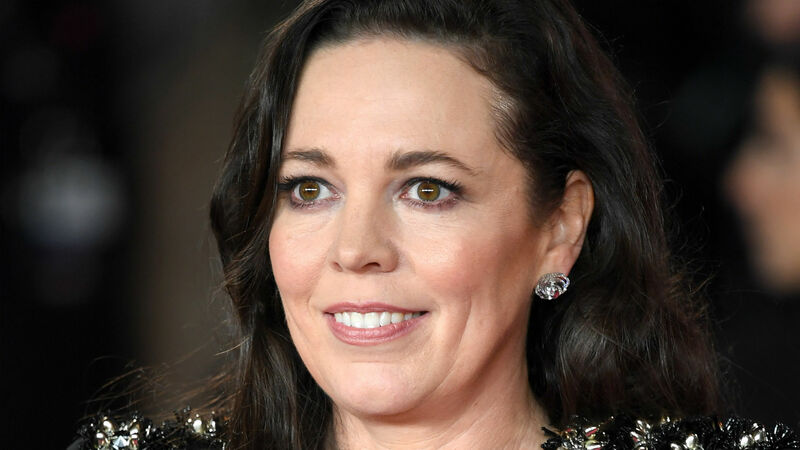 You've never seen Olivia Colman like this before. Early Monday, Netflix released the first photo of Colman as Queen Elizabeth II in The Crown on social media, and it will seriously give fans chills. The image features Colman as the queen sitting at a table sipping tea in what appears to be Buckingham Palace. She's also donning Queen Elizabeth's signature hairstyle and wearing a light pink outfit. The photo is captioned, "Patience." It's definitely going to be hard for many fans to remain patient for new episodes and to see a brand-new cast portraying people we're used to seeing played by Claire Foy, Matt Smith and Vanessa Kirby among many other talented actors. But to know season three is moving along and that Colman most certainly looks her part is reassuring. This is definitely a huge change for fans, who have become accustomed to watching the amazingly talented Foy play the lead role in the first two seasons of Netflix's original series. It was first announced in October 2017 Colman would take over as the queen in seasons three and four. She's a fantastic actor, which fans of Broadchurch and The Night Manager (for which she won a Golden Globe in 2017) are already well aware of. "I'm so thrilled to be part of The Crown, I was utterly gripped watching it, a proper 'just one more' feeling." Colman said in a statement released in April. "I think Claire Foy is an absolute genius, she's an incredibly hard act to follow, I'm basically going to rewatch every episode and copy her!" It's been known for a while now Foy would only be part of the first two seasons and then another actor would swoop in to portray an older queen. Season three will tell the royal family's story from 1964 to 1976. "I think we all felt Olivia had something that corresponded [to what we wanted], that ability to be both plain and dazzling, and to be both knowable and unknowable," creator Peter Morgan said in February at an evening BAFTA Masterclass in London (via Variety). "And then we rang her up, and she said yes on the phone." In addition to Colman, Helena Bonham Carter will replace Kirby as Princess Margaret, Ben Daniels will take over for Matthew Goode as Antony Armstrong-Jones, and Smith's Prince Philip will now be portrayed by Outlander's Tobias Menzies. Season three, which is slated to premiere in 2019, has a ridiculously strong cast. Who else can't wait to see Colman in the queen's shoes?